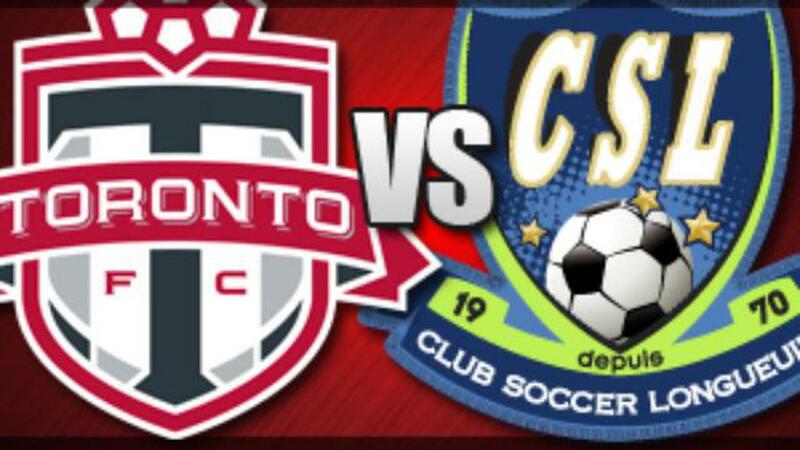 League1 Ontario champions Toronto FC Academy take on PLSQ champs CS Longueuil in the second leg of the inaugural Div III Inter-Provincial Cup on Saturday Nov 8 (8pm kickoff) at the brand new Pickering Soccer Center. TFCA enter the match with a significant advantage, currently leading their semi-pro counterparts 4-0 on aggregate after an outstanding first leg performance at the Complexe Sportif Bell in Brossard, Quebec on November 1. However, TFCA head coach Michael Stefano is taking nothing for granted. "We need to tighten things up for this match. I made it very clear to the group this week that we can't be too pleased with the way we played because there is still a lot of room for improvement. Getting the team to understand that winning becomes a habit is something I've tried to get into the players throughout the season. Complacency is the enemy you can't see, and it doesn't hit just one guy, it hits groups of players at a time. If we allow that to seep into the group, there is no reason for us to be here. It's about staying hungry." TFCA came out the gates flying in the Cup's first leg, pressing their opponents aggressively, and scoring two goals in the opening ten minutes. However, they could have had more. Midfielder Marco Rodgirguez had his penalty saved by CSL netminder Gilbert Bayiha in the fifth minute, and Stefano is quick to point out that his team can do better. "I don't kid myself - I thought our performance [in the first leg] was good, but it wasn't great. We left a lot of holes and were a little negligent when we went up 2-nil. I thought the effort that was given was maximum, but I thought we could have been a little more intelligent in the way that we managed the game. We left them a lot of openings to get back in the game." CS Longueuil will be eager to make amends for a first leg performance that was marked by the squad's determination, but one that lacked attacking nous. On only two occasions in the first half did the PLSQ1 champs threaten the TFCA goal, while a point-blank header off a set-piece effort in the dying minutes of the match represented CSL's best chance of the match. "I had watched CSL play in two or three matches, and it was very evident to me that their opponents rarely touched them," explains Stefano. "They were very comfortable playing out of the back without pressure, and were able to pick passes out. I thought there were two things that helped us in the first leg: 1) we came with the right attitude to force them into mistakes and 2) the size of the pitch. At 102 x 66 it was quite small compared to what we are used to and I thought that favoured our pressing game and technical play." The Junior Reds have had a long, fruitful season - winning the League1 Ontario championship in convincing fashion, and producing at least one signing already for the TFC first team via midfielder Christopher Mannella - and Stefano is looking forward to this final challenge. "It has been a very long season, and I'm excited to get this match underway and behind us, and move on to the post-season," says Stefano. "There has been a lot of in and out movement in the squad, and for example when Chris was signed to the first team it left a big hole in our midfield. I was happy to fill that with Mark Anthony Kaye though, as I saw qualities that would suit the deep-lying playmaker role. I thought he was the outstanding player in the first leg." "Coaching at this level is a bit of everything, it's a bit of getting to know the players individually on a personal level as well as players. You just grow and learn as the year goes, and that is the biggest coaching challenge - finding the best position or role for each player as related to their personal qualities. It's exciting to be able to work with players that can function in each position, and opens up a world of possibilities."